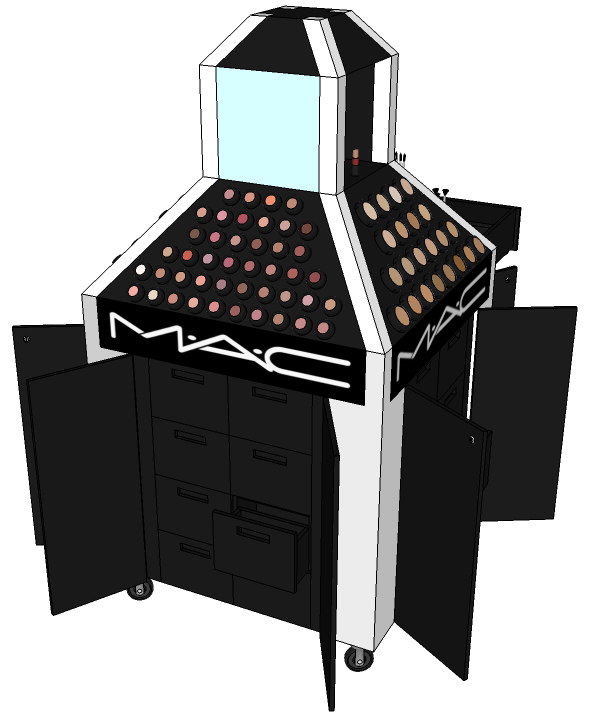 "Design, develop, and construct a branded store fixture, that is, when utilized, no larger than a 36-inch x 36-inch square footprint and 84 inches high. 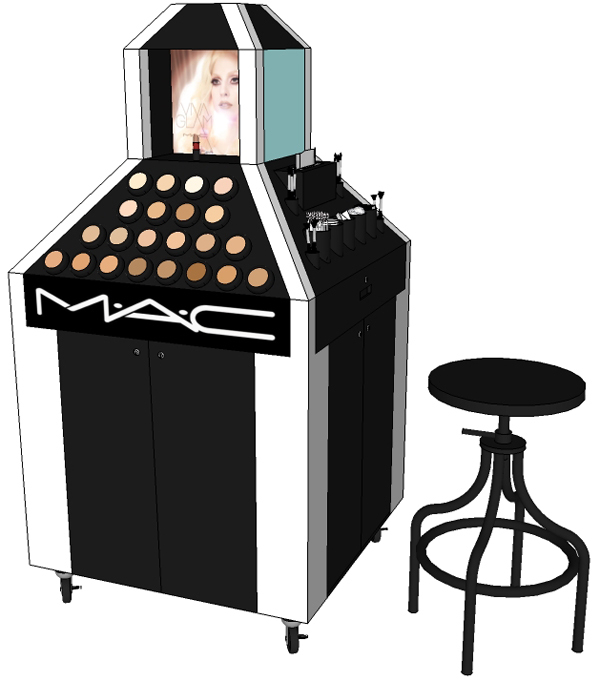 This fixture is to provide a makeover station for a specific existing brand of cosmetics. The fixture should communicate the chosen brand. You may choose any brand of cosmetics found in department stores or branded retail stores. Your design solution should be concise and constructed with care and professionalism. The fixture must be able to morph from a compact, protected unit when stored into a fully functional makeover station when in use. We encourage you to design a creative solution for the functionality when utilized and the structure when stored." This is what the fixture will look like completely closed a locked. The below image shoes all doors open, and how the makeup will be displayed. 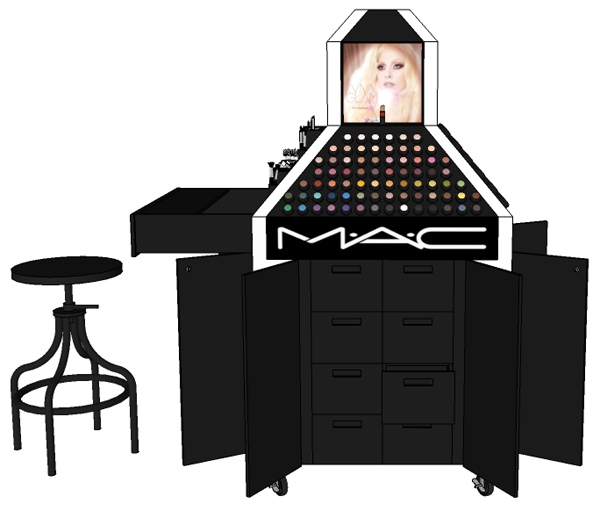 The top part of the fixture is for MAC's Viva Glam campaign, or any other featured MAC product. This shows the back, still completely open. 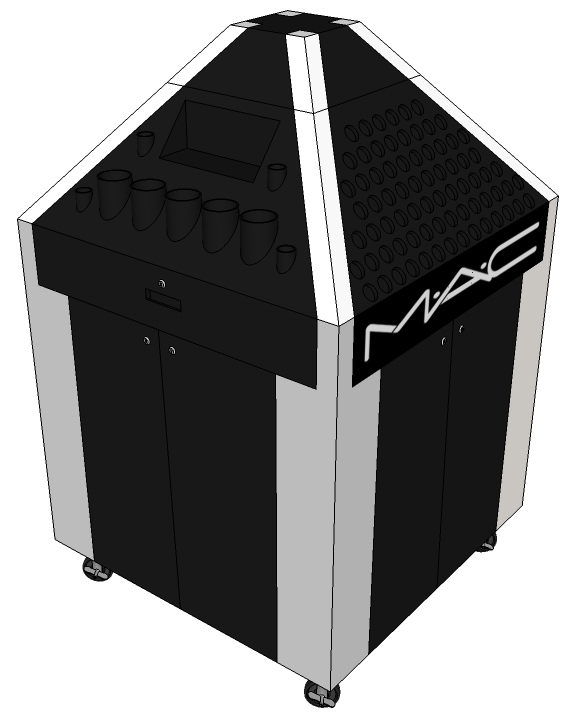 Below is the back with doors closed, how it would be displayed in a store or shopping mall. 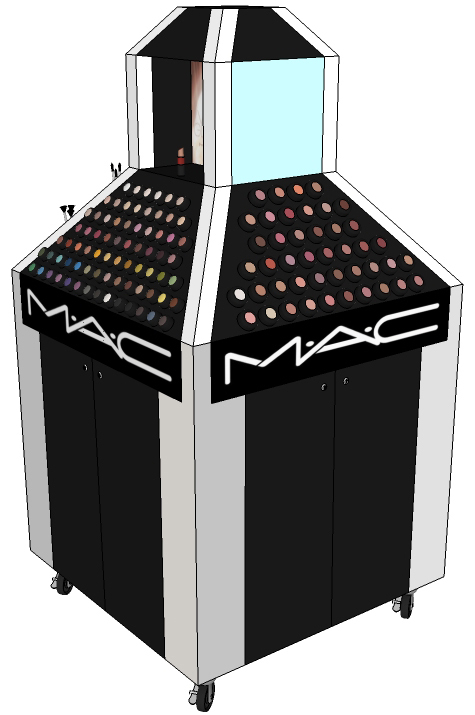 And finally, this is the left/front view, the same way it will be displayed while in use by a makeup artist. I hope I win or at least get an honorable mention!